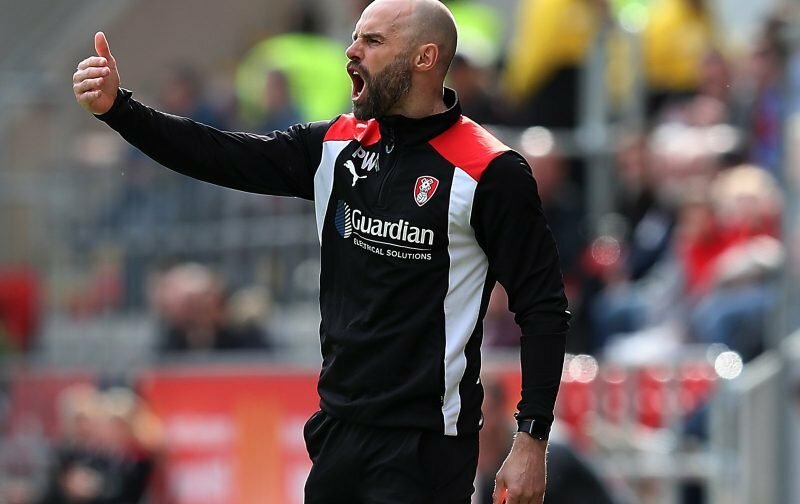 Rotherham United Manager Paul Warne told iFOLLOW that he was pleased with his sides point away from home yesterday. And so he should be. You can’t dis an away point whoever you are playing. And, I feel, it was a well deserved point. And we kept a clean sheet and it’s a while since we kept one of those. The Millers Boss completely changed the shape of the team yesterday seemingly putting as many ‘big’ lads on the pitch as he could to try and counteract Millwall’s ability at set-pieces and, you have to say, it sort of worked. I have to agree. I thought both teams were shocking in the first half with the Millers finding themselves penned into their own half for much of it but they came out in the second half and had a go which you can’t really ask for any more than that away from home on a pitch that wasn’t the best. Marmite indeed Mr calamity Warne! Good point away from home, i love marmite on toast but am afraid Mr calamity Warne leaves a bad smell for me, must be all that bull**** he constantly keeps churning out but he is not on is own because in the corridors of power at the NYS one Mr Tony Stewart OBE is a even bigger depositor of bull**** than Warne, when you receive your OBE Tony get them to pin it on your cigar chomping big deluded head. He’s right though Stuart, it was ‘marmitey’ – we were poor in the first half and at half-time I feared the worst. But, we came out better in the second half and could have actually nicked all three points although, saying that, so could Millwall. Yes, I’ve always thought the less players you have for competition for places the more complacent the players will become because they will get picked. Although, I’m not so sure I can say that about the current Millers players who I do think mostly give their all. I don’t think they’d see much on Herringthorpe fields at the moment – few rugby players and a lot of dogs perhaps! But, yes, I do think now is the time to be looking at non-league or lower league players who are hard working, which Paul Warne wants, and can be molded into a Rotherham player perhaps ready to go next season, whichever division we are in.